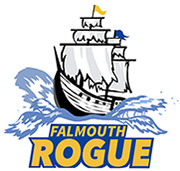 The first goaltimate season will run every Thursday and Sunday from September 13th through October 18th at the Legion Fields on Depot Road in Falmouth. Thursday sessions run 5:00-6:30pm while Sundays are 2:00-3:30pm. If you use Google Calendar, you can click here to subscribe to the official FMS Ultimate schedule (click the “Add to Google Calendar” button at the bottom right of the screen after opening the link).